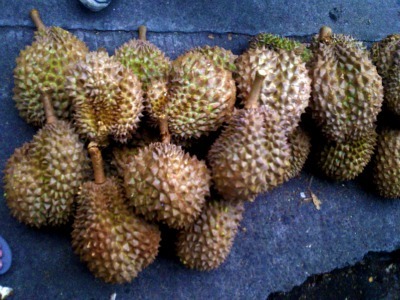 Durian is a popular fruit that grows in Asian countries like Bangkok, Philippines and so on. But here in the Philippines, it is in Davao specifically in Toril and Calinan where you can find the best tasting Durian. For so many individuals, they are afraid to eat this fruit. Why? Maybe because of its smell. However, Durian eaters like foreigners and locals say, "Smells like hell but tastes like heaven," believe me, it's true! 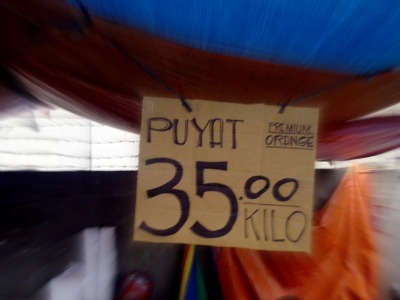 The famous "puyat" is a crowd favorite. It's sweet but sometimes bitter. That's what makes the puyat variety exceptional. When you buy this variety, you should ask if its yellow or orange seed. The yellow one is sweet while the orange is bittersweet. YUM! Usually a small Durian fruit weighs two kilos, so that's how much? Nah, never mind the price, it's worth it! Other varieties include Arancillo, Native, Chanee, Monthong, Lacson 1 and 2, Karnyaw and Kob. Don't forget to drink coca-cola after eating Durian dahil yun ang perfect pair! Add coke for EXTRA HAPPINESS!